← Beer inspired by baking…gingerbread beer! I grew up in New England, lived in Queens for a while, and recently bought a house in Long Island. But of all the places I’ve lived, I feel like I’ll always be a Queens girl. I don’t miss NYC all that much since I work there, but it’s still nice to bring a little bit of the City home to the Island. 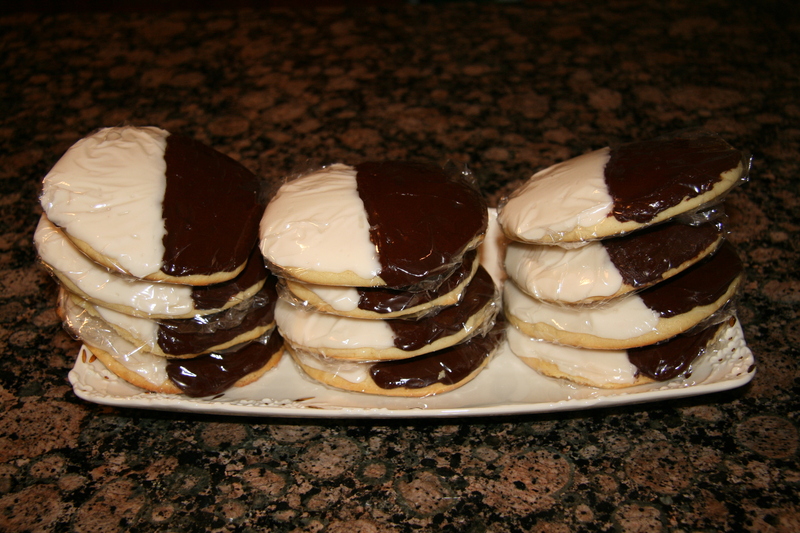 So I made some black and white cookies.They are one of my favorites, and while we had them in New England, they are a much bigger thing in NYC (on the level of pizza and bagels). BTW, I found this online. 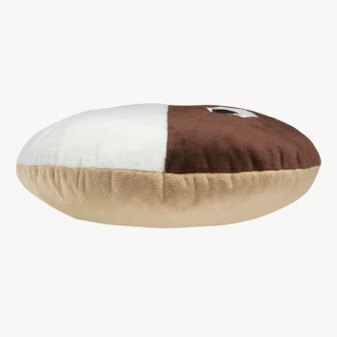 Is this not the cutest pillow to decorate a cramped NY apartment? Anyways, here is the recipe. 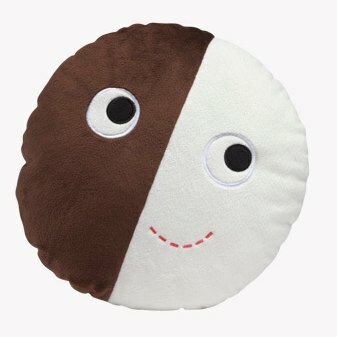 The cookies are super easy to make. 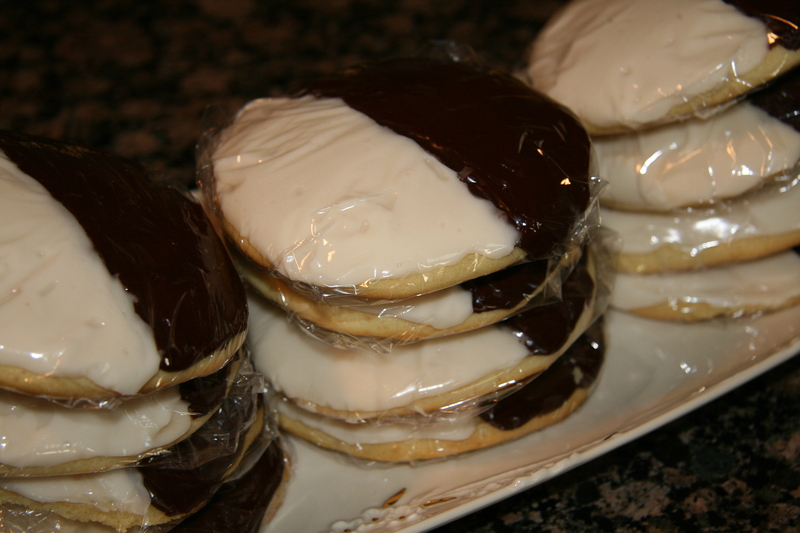 The frosting is a bit more challenging, especially getting that straight division between chocolate and vanilla. I’m sure it takes a lot of practice to get it perfect! In a measuring cup, pour the vinegar into the milk and let sit 5 minutes to sour into buttermilk. Using a Kitchenaid stand mixer, beat together the butter and sugar until combined. Add the egg. Add one cup of the flour mixture into the butter and sugar and mix until combined. Add some of the buttermilk and mix to moisten. 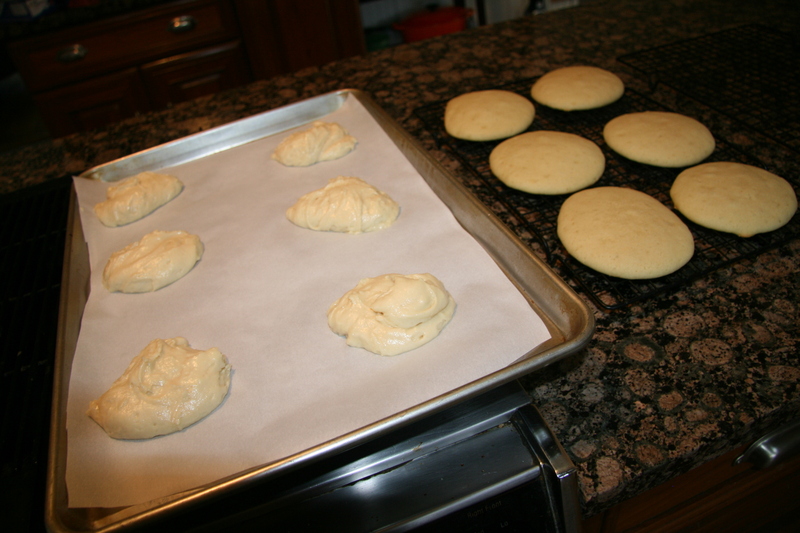 Continue this way, alternating between adding the flour and the buttermilk, until it is all added and combined. Spoon ¼ cup servings onto the cookie sheet and bake for 14-17 minutes until the tops are golden and they spring back when touched. Pour the confectioner's sugar into a bowl. Make a well, and add the corn syrup, lemon juice, vanilla, and 1 TBSP water to the center. Mix until completely combined. Pour half of the frosting in a bowl and then add the cocoa powder and remaining 1 TBSP water. If you find it is hard to mix, you can always add more water to mix, and then add some confectioner's sugar to stiffen the frosting. The frosting should be very thick and should not drip off the spoon. 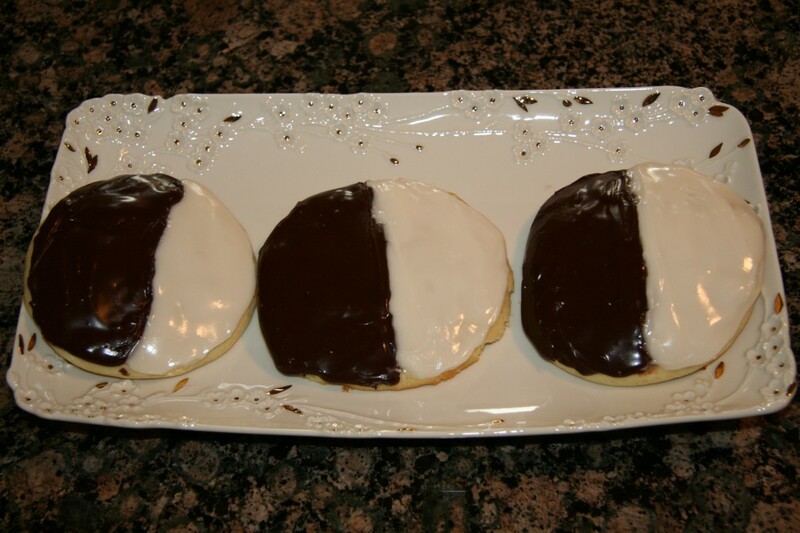 To decorate, spread half of each cookie with the vanilla frosting, and the other half with the chocolate. I just used a butter knife. Let sit in the fridge for 10 minutes to harden. Then you can individually wrap with Saran wrap, which keeps them nice and soft.